Reports are coming in that a "QF-4" drone fighter jet has crashed near U.S. 98 in Florida, via eyewitnesses on Twitter and local news station WHJG. The drone was from Tyndall Air Force base and represents the second crash in the last 30 days. Eye witnesses say the large drone, presumed to be a QF 4 came in hard and fast, exploded and sent up a large black cloud. Traffic is blocked on Tyndall on US 98 and is being turned around. Though pilots can and sometimes do fly in the cockpits of these drones, WHJG confirms this crash was of an unmanned drone. The military told WHJG that a self-destruct explosive charge is usually attached to these drones, just in case. The QF-4 is a conversion of excess Vietnam-Era F-4 Phantom by BAE systems in California. 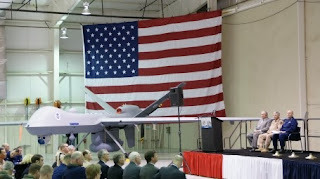 The company has performed roughly 200 drone conversions of this model since 1995. Tyndall's last drone crash was out over the Gulf of Mexico. 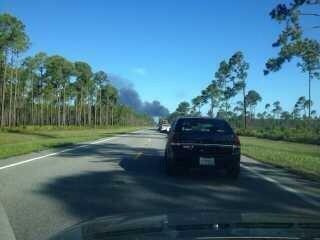 The base was also home to an F-22 Raptor crash late last year, also near U.S. 98. Researchers at the University of Maryland, funded by the U.S. Army, may have just taken drone warfare to the next level. The Robo-Raven is a robotic bird, with wings that can flap independently of one another. This technology makes the aircraft appear like a live bird. In fact, a YouTube video from the University of Maryland Robotics Department shows the Robo-Raven in flight, a flight so lifelike that the machine gets attacked by a hawk at 1:49 in the video. 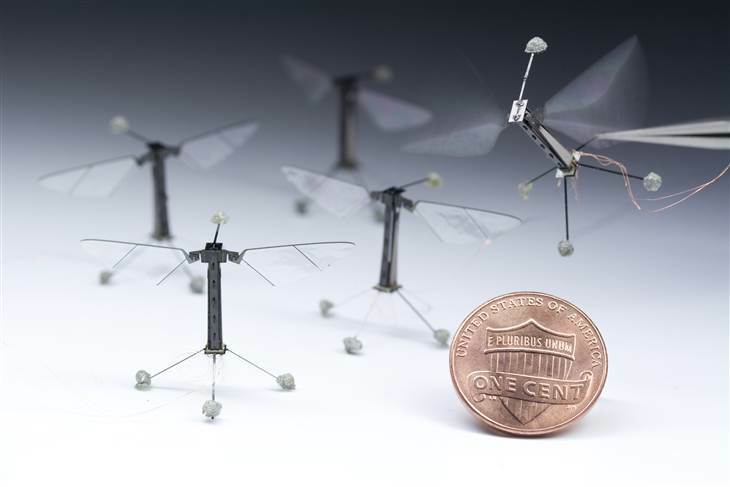 “Our goal is to create a robotic bird that can do things that have never been done before,” Dr. S.K. Gupta, a professor at UMD’s Robotics Department, says in the video. The tactical potential is outstanding. In Iraq and Afghanistan, insurgents have been known to bury weapons or disperse when they see or hear surveillance drones doing low passes. With the technology harnessed by the Robo-Raven, a surveillance drone could hover overhead and no one would have any idea. He said in a speech at the National Defense University in Washington, “We must define our effort not as a boundless 'global war on terror' - but rather as a series of persistent, targeted efforts to dismantle specific networks of violent extremists that threaten America." And the law sets a very high legal bar for Defense Secretary Chuck Hagel to transfer a detainee to his country of origin, or to any other foreign country. (AP) - A drone the size of a fighter jet took off from the deck of an American aircraft carrier for the first time Tuesday in a test flight that could eventually open the way for the U.S. to launch unmanned aircraft from just about any place in the world. "This is the next generation of military technology _ the unmanned vehicles, the unmanned submersibles, the unmanned aircraft. This will be the future of warfare, and it will be a warfare that is a little less risky for humans but maybe a little more effective when it comes to delivering weapons and effect." While the X-47B isn't intended for operational use, it will help Navy officials develop future carrier-based drones. Those drones could begin operating by 2020, according to Rear Adm. Mat Winter, the Navy's program executive officer for unmanned aviation and strike weapons. "Unmanned systems would be the likely choice in a theater or an environment that was highly defended or dangerous where we wouldn't want to send manned aircraft," Branch said. During Tuesday's flight, the X-47B used a steam catapult to launch, just as traditional Navy warplanes do. The unarmed aircraft then landed at Naval Air Station Patuxent River in Maryland. The next critical test for the tailless plane will come this summer, when it attempts to land on a moving aircraft carrier, one of the most difficult tasks for Navy pilots. Earlier this month, the X-47B successfully landed at the air station using a tailhook to catch a cable and bring it to a quick stop, just as planes setting down on carriers have to do. While Predators are typically piloted via remote control by someone in the U.S., the X-47B relies only on computer programs to tell it where to fly unless a human operator needs to step in. Eventually, one person may be able to control multiple unmanned aircraft at once, Branch said. "We're saying you must have meaningful human control over key battlefield decisions of who lives and who dies. That should not be left up to the weapons system itself," said Steve Goose, director of the arms division at Human Rights Watch. Developed by Northrop Grumman under a 2007 contract at a cost of $1.4 billion, the X-47B is capable of carrying weapons and providing around-the-clock intelligence, surveillance and targeting, according to the Navy, which has been giving updates on the project over the past few years. Worried about drones spying on you? Soon, a device might be able to send you text and email alerts that let you know when a drone is nearby.A Washington, D.C.-based engineer is working on the “Drone Shield,” a small, Wi-Fi-connected device that uses a microphone to detect a drone’s “acoustic signatures” (sound frequency and spectrum) when it’s within range. The device will cost $69 and will be about the size of a USB thumb drive. It will use Raspberry Pi – a tiny, $25 computer – and commercially available microphones to detect drones. He says he imagines that people will attach the Drone Shield to their fences or roofs to protect their home from surveillance. “People will get the alert and then close their blinds,” Franklin says.He is currently working on an open-source database of drone sounds that the detector will check what it’s hearing against. Other devices with motors, such as lawn mowers and weed-whackers, will also be included to reduce false positives. Drone owners will be asked to record the sound of their drones to be included in the database. When the Drone Shield identifies a drone, it’ll flash and send an email and text message alert to a homeowner. Franklin says that most commercially available drones have to come relatively close to a home in order to spy. More sophisticated drones, such as Predators, would fly too high to detect. 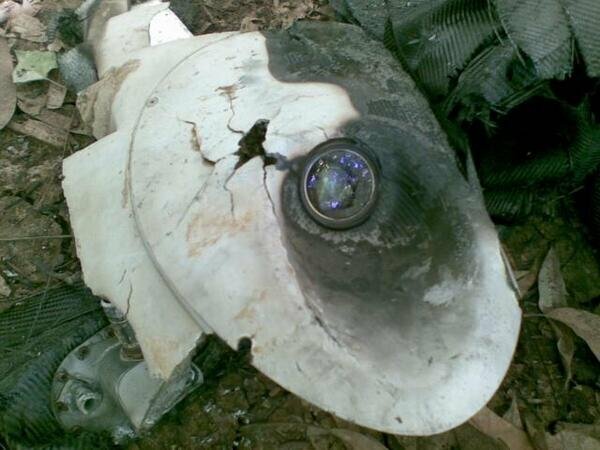 The remains of a Predator B "Reaper" drone, sprinkled across the Arizona mountainside near Nogales, in this April 2006 photo released by the National Transportation Safety Board. Around 9:30 on the night of May 1, 2011, an Air Force Predator that had been in the air for 18 hours suddenly hurtled towards the ground at 400 feet per minute, crashing near a U.S. base at Jalalabad, Afghanistan. The soldiers who brought the craft back to camp had to cut off its wings so it would fit in their vehicles. Cause of crash? Engine failure, clogged oil filter. Five years earlier, over American soil, a similar incident occurred. A Department of Homeland Security drone on a routine border patrol was destroyed after nosediving into hilly scrubland near Nogales, Ariz. 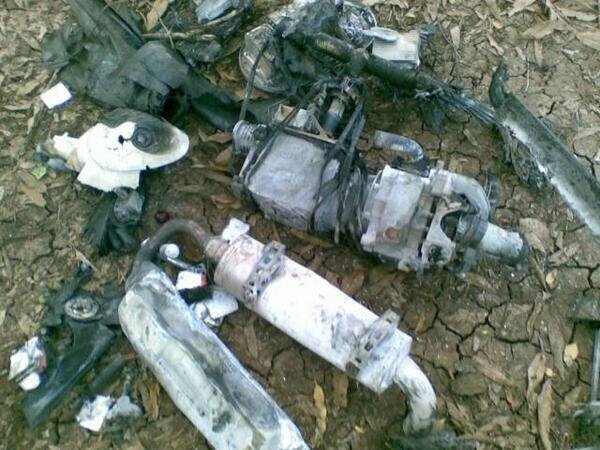 Investigations revealed a number of causes: pilot errors, display failures, poor design. Big drones actually crash a lot. Official statistics on large unmanned aerial vehicle (UAV) accident rates vary, but drones are 30 to 300 times more likely to crash than small civil aircrafts, according to one estimate. According to a 2005 Department of Defense report, every 100,000 flight hours saw 191 AAI Shadow UAVs destroyed or in need of drastic repairs, compared to just four manned F-16s. Drones suffer from the usual aircraft mechanical and pilot failures, but they also grapple with uniquely drone-ish issues: They're harder to launch and land, and lost communication links pose a problem. But as drones spend more time aloft, operators and craft manufacturers have had a chance to find and iron out kinks in the machinery. Most drones today are of the larger military variety, but that'll change. 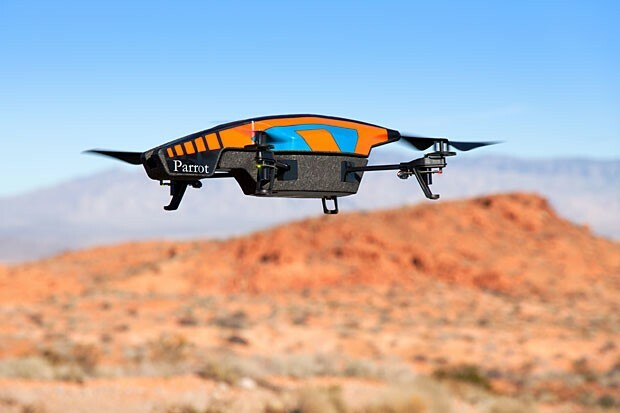 In 2015, regulators will begin granting permits to a wider array of small drone operators in U.S. airspace. Fortunately, they'll have detailed obituaries of hundreds of lost UAVs to help inform their safety guidelines. 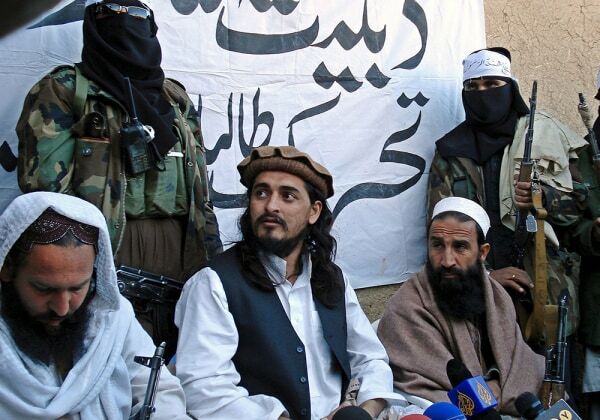 Because they don't carry a human life, drones are sometimes pushed harder than piloted planes. In one instance, a Reaper drone was running perilously low on fuel as it neared its destination, but controllers felt that the target was important enough to sacrifice a drone. So they kept going, Peter Singer, a senior fellow at the Brookings Institute told NBC News, citing a private Air Force briefing. In another instance, a drone ran out of missiles. "But they really wanted the target, so they turned that system into a kamikaze," Singer said. Like manned aircrafts, UAVs can run out of fuel or encounter mechanical failures, John Hansman, an aviation researcher at MIT, told NBC News. Though such problems aren't drone specific, they are significant — a DoD survey showed that 57 percent of accidents until 2005 were caused by flight control issues or engine or transmission problems. Another 2006 photo of the downed Predator from Nogales, Ariz. The same DoD survey said 14 percent of failures involved lost communication links. "Even if things move at the speed of light over fiber optics, there’s still a delay," Singer told NBC News. These days, takeoffs and landings are controlled by a local crew within sight of the craft, while in-air maneuvers are controlled by mission control at a base in the U.S. To help drone pilots, researchers like MIT's Missy Cummings and Raza Waraich are studying ways to develop control systems and environments in which drone operators can operate more efficiently. The unmanned craft are getting smarter, too. AeroVironment's small military drones can return to their launch point or land at a safe spot if their communication link falls silent, company spokesman Steve Gatlin told NBC News. A tall tree or hill can interrupt the link, so some AeroVironment drones are programmed to climb in altitude and reestablish that link. If General Atomics' Predator or Grey Eagle UAVs lose contact, they can navigate to different air space and try connecting again. If that doesn't work, the crafts navigate back to the operating base. The Grey Eagle can even land itself. Air Force stats reflect these improvements. In 2005, for every 100,000 hours of flight time, 22 drones cost the Air Force $2 million or more (each!). By 2012, that number fell to 3.5 per 100,000-hour interval, Air Force Safety Center spokesperson Masao Doi told NBC News via email. 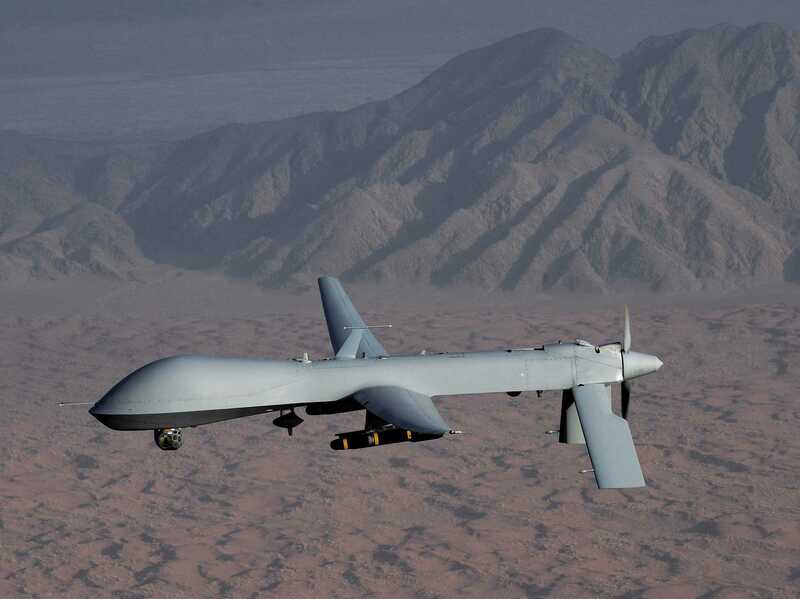 According to General Atomics, the original Predator now encounters 8.5 mishaps every 100,000 flight hours. What about smaller flying robots? The military tends to fly big UAVs, but the drones that may soon dot the skies over local municipalities are smaller, weighing under 55 lbs. For now, safety data on civil drones is scarce, Gerald Dillingham, a civil aviation expert at the Government Accountability Office told NBC News. In preparation for a more drone-friendly U.S. airspace, the Federal Aviation Administration is working with the DoD. They signed an agreement in 2011, in which the DoD agreed to share military drone data on safety with the civilian regulatory agency. 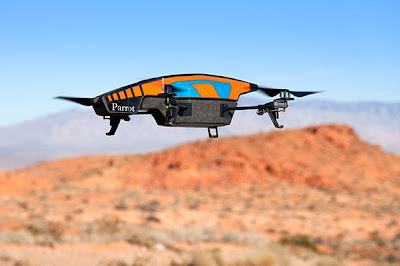 Meanwhile, the FAA has begun collecting accident reports from companies that apply to test their drones domestically, and will set up six test sites within the U.S. to help establish the airworthiness of smaller UAVs. "It’s still not black and white," Dillingham said about applying data from military crashes to civilian safety concerns. However, "I do still say that some information is a lot better than no information."